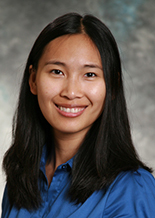 Minlei Ye became an Assistant Professor of Accounting at University of Toronto in 2009 after completing her PhD degree at the University of British Columbia (UBC). She received her Bachelor's and Master's degree in Accounting from Renmin University of China. She has held the Certified General Accountant (CGA) designation since 2010. Her teaching interests include managerial accounting and auditing. She is teaching Introductory Managerial Accounting and Advanced Auditing at University of Toronto Mississauga. She also taught a part of the theory camp for PhD students at Rotman School of Management in 2010. She believes constructive learning and provides an engaging learning experience for students. Her research is focused on the economics of auditing, with an emphasis on analytical and archival research in auditing standards setting, pricing, auditor industry expertise, and auditor independence. “Do Joint Audits Improve or Impair Audit Quality?” with Mingcherng Deng, Tong Lu, and Dan Simunic, Journal of Accounting Research, 2014, 52 (5): 1029-1060. “The Economics of Setting Auditing Standards” with Dan Simunic, Contemporary Accounting Research, 2013, 30 (3):1191-1215. “The Joint Effects of Multiple Legal System Characteristics on Auditing Standards and Auditor Behavior” with Dan A. Simunic and Ping Zhang, Contemporary Accounting Research, forthcoming, 2016. “Equity Incentives and Earnings Management: Evidence from the Banking Industry” with Qiang Cheng and Terry Warfield, Journal of Accounting, Auditing, and Finance 2011, 26 (2): 317-349. “Auditor Conservatism and Bank’s Measurement Uncertainty during the Financial Crisis” with Feng Chen, Kevin Lam, and Wally Smieliauskas, International Journal of Auditing, forthcoming, 2015. “Audit Quality, Auditing Standards, and Legal Regimes: Implications for International Auditing Standards” with Dan A. Simunic and Ping Zhang, the Journal of International Accounting Research, forthcoming; 2015.